Celery contains beneficial antioxidants, enzymes, vitamins, and minerals. 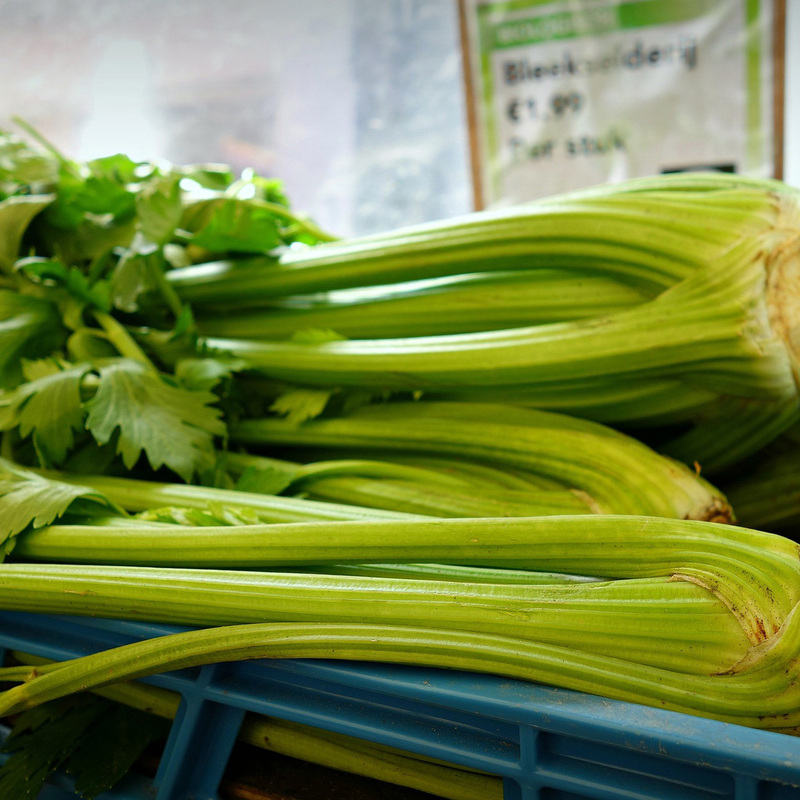 Celery actually increases in antioxidant power when it is cooked; therefore, adding celery to vegetable soup, for example, actually boosts the soup’s nutritional value. Celery adds bulk and flavor to meals while being low in calories. Researchers undertook a study to find out whether celery took more energy to digest, assimilate, and store than the calories it contains. They found that the 16 calories in about two cups of celery took 14 calories to digest, leaving two calories. Combined with its high fiber and water content, celery is helpful in a diet for weight loss or management. Eating too much salt can contribute to health problems. In fact, four million deaths a year have been attributed to a diet high in salt. Celery provides a flavoring that can be used in place of salt. Fruits and vegetables contain phytonutrients that can boost our detoxification enzymes, modulate gene expression, and even repair DNA damage. To find out which plants might boost DNA repair, researchers tested lemons, persimmons, strawberries, oranges, choy sum, broccoli, celery, lettuce, and apples. Of those tested, the plants that provided DNA protection at low doses were celery, broccoli, apples, strawberries, lemons, and persimmons. Image Credit: Mabel Amber / Pixabay. This image has been modified. In addition to quantity and quality, the variety of fruits and vegetables consumed matters, as many phytonutrients are not evenly distributed among the various families and parts of plants.